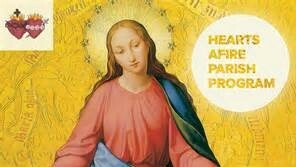 I am doing the 33 day consecration to Jesus through Mary following yoour daily podcast which by the way is awesome!!!. This is my second time and I already have the book from Fr. Michael Gaitley. I want to purchase the workbook only and it seems to me that I have to purchase the entire kit online. Is there any way I can just purchase the workbook? I’m going to be starting the 33 Days to Morning Glory on Aug 10 and I have a couple friends interested too. One of the friends has a prayer Facebook page. Would it be ok for us to post the reading and prayer from the book each day on Facebook, or would this violate the Copyright of the book? The “workbook” is not available separately. It is part of the participant packet. Thanks for sharing the consecration!